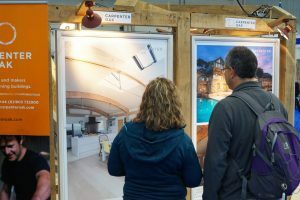 If you’re looking to build, renovate or extend, the National Self Build and Renovation Centre in Swindon is a fantastic place to visit. The Big Green Show this year will be taking place on the 5th – 7th October. 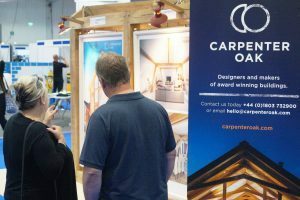 Ant, Adam and Alex from Carpenter Oak will be on hand to answer any questions you have about building with oak as well as provide inspiration and ideas for your project. 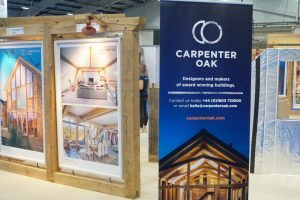 We will also be joined by George Batterham and Ben Smith from Batterham Smith Architects, who will be on hand to discuss your project and get you excited about what’s possible with a timber frame. 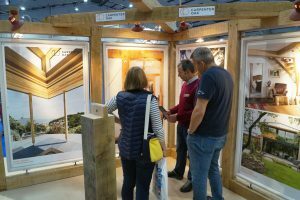 If you want to book up an appointment with us at the show to miss the hustle and bustle, please contact [email protected] with your preferred day and time and we will set aside time to spend with you discussing your project. We are also delighted to be able to offer free tickets to the show – click this link which will take you to the ticket page. 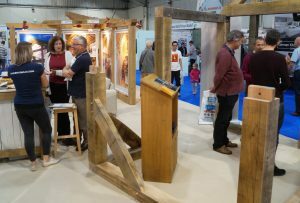 We also attend other shows and open house events all year round – check our events listing to find out when and where you can meet us.